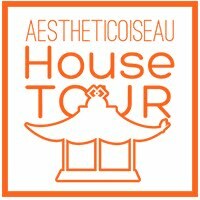 It's the Maine home of Ayumi Horie and Chloe Beaven and it's spectacular. 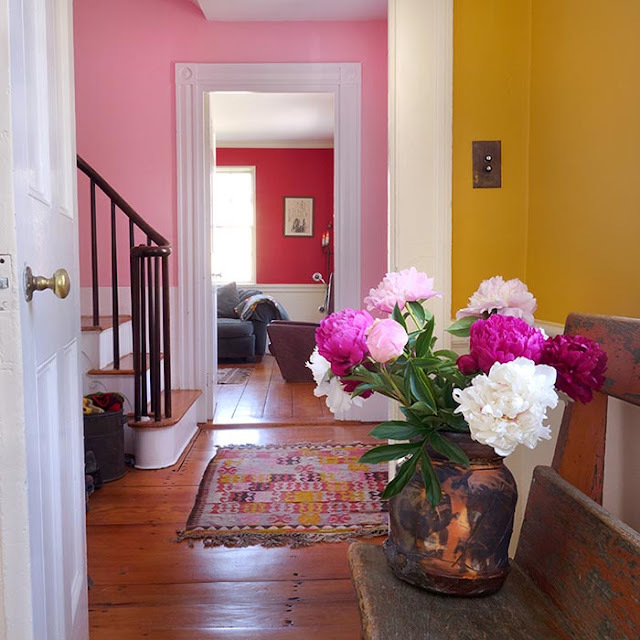 A very traditional home full of delightful, cheerful touches. My favorite of which is this stairwell. 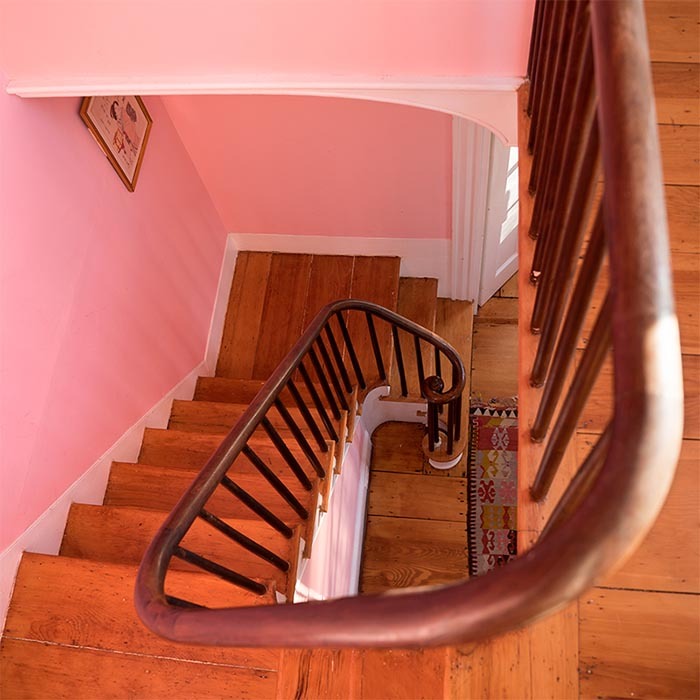 You would think that painting a stairwell pink would result in a shocking display of color but can we agree that this looks very natural and fresh? Effortless style. Love the pink but mostly love it in comparison to those other colors. Like you say it's the most cheerful (and pretty!) combination ever. Daniela I adore the foyer with all of this stunning, saturated color!! The rug is wonderful! 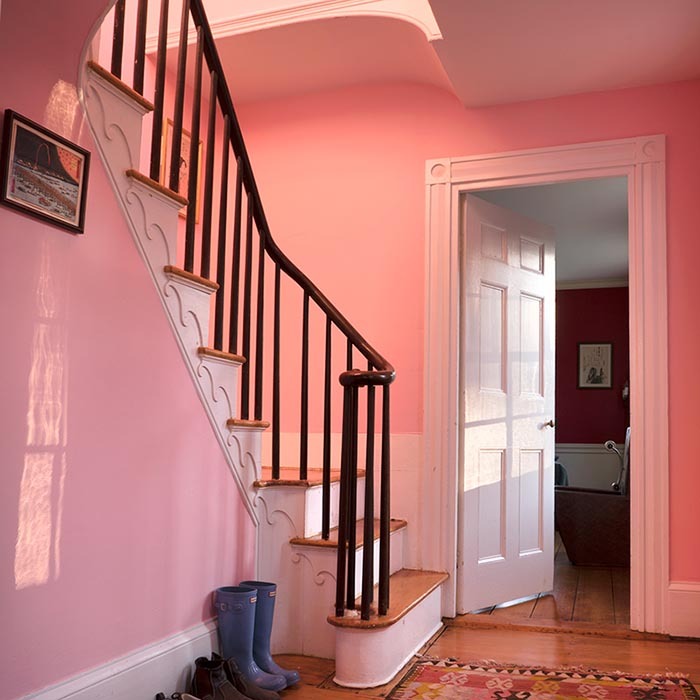 In a public bathroom that I am decorating, I proposed to my client gray walls and a pink ceiling for the ladies bath. My client said it was too cutesy (it was not!). Oh well, I really thought a pink ceiling would go over with him, definitely more than pink walls. Love the stairwell.